A lecture on low vision, and ways to adapt to its challenges (the third lecture in the FBWEV Health & Wellness series) was held on Tuesday, June 18th. 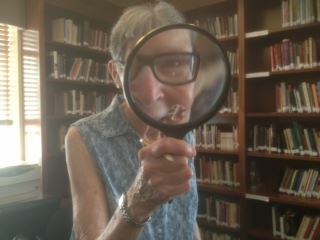 The director of the Low Vision Information Center in Bethesda, MD, taught Village members how to function with diminished sight, and demonstrated various “seeing aids” designed to keep those with low vision independent. Villagers were then able to test several of the many devices and to see for themselves how the old and new technology can improve their lives.